NEW ENHANCEMENT / Cart Item Check! Get ready to save even more at PharmSaver.net. 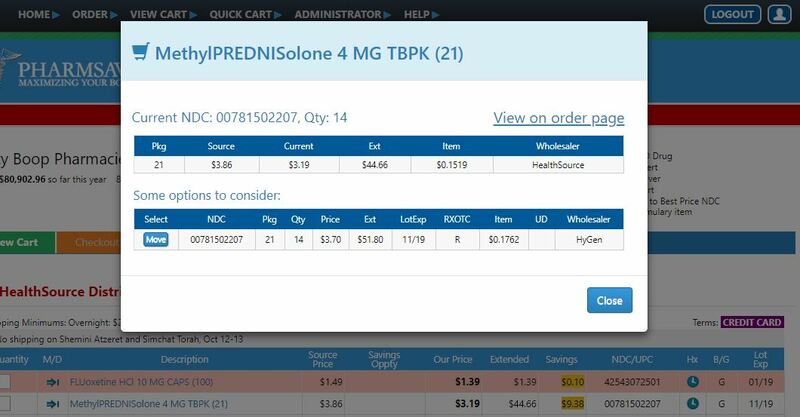 The new Cart Item Check is activated by clicking on a drug name in the Cart. If potential savings of 20% or more exist for the item, a window will display and show the various savings possible. Items displayed include package sizing and quantities different from the original selection. If the item you select in the cart does not have savings opportunities, the Order page will be displayed. Give it a try and enjoy the savings!